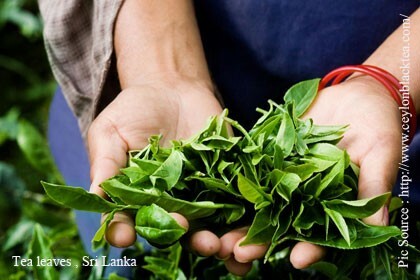 Nov 06, 2015 (LBO) – Sri Lanka’s Tea Board will purchase quality tea from the tea auction for the price of 430 rupees per kilogram until the price reaches the limit of 450 rupees. “We are putting one billion rupees to the tea market,” Rajitha Senaratne, Cabinet Spokesman said. “Tea prices are controlled by the supply and demand theory. Demand has been reduced. So what we are doing is to up the demand through buying tea from the auction,” he said. Sri Lankan tea industry is currently going through a difficult period with tea exports declining for the twelfth consecutive month due to lower demand from Middle East, Iran and Russian markets. The tea board intervention would artificially raise the prices of tea at the auction. Although the production cost of kilogram of tea is 450 rupees, the auction recorded an average price of 385.51 rupees. The same intervention has been done in 2008 where the government controlled reducing tea prices by purchasing tea from the auction. Based on that experience, the proposal made by Naveen Dissanayake, minister of plantation industries, to allocate required funds to purchase tea was approved by the cabinet.